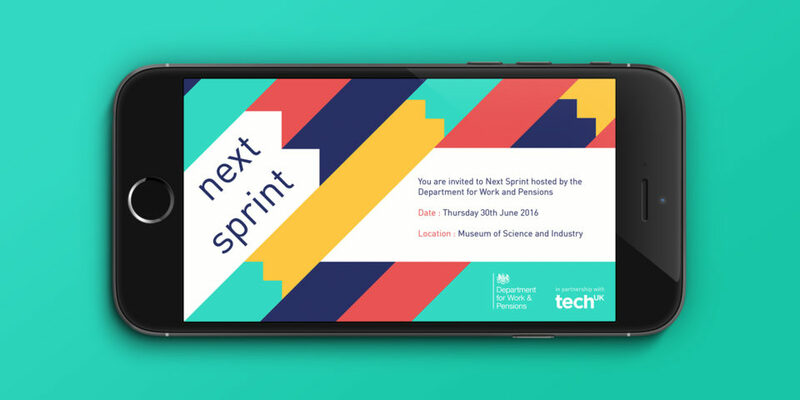 DWP tasked us to design event branding for their Next Sprint event – a one-day symposium that would bring together innovators and thought leaders from across the technology industry. 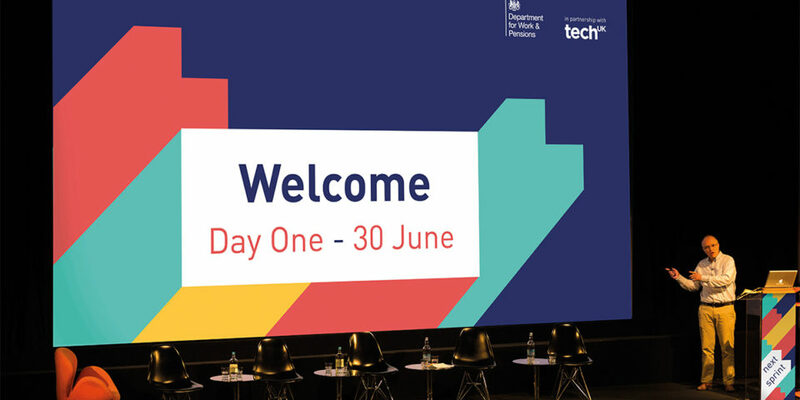 The event would highlight DWP’s vision of becoming a world-class public service provider. 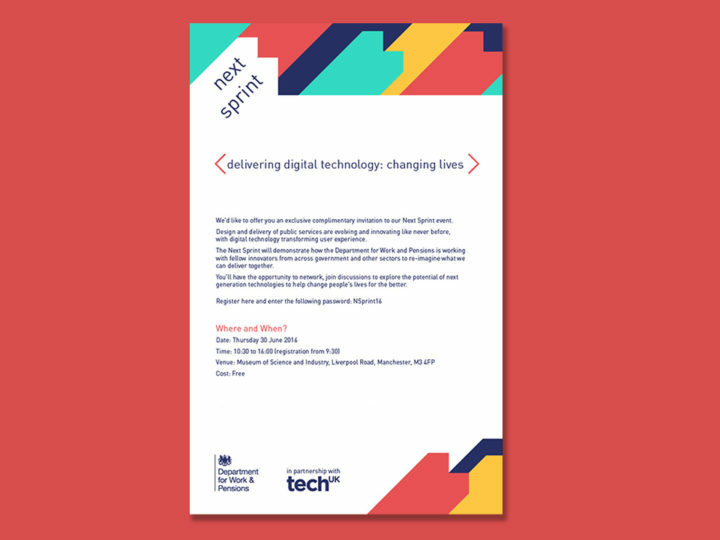 We wanted the branding to convey the fast pace of change in the technology industry and make the event collateral feel very modern. 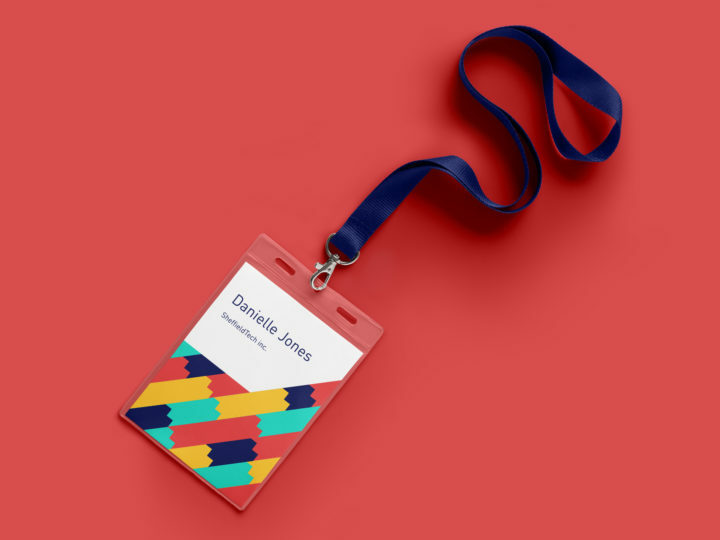 To do this we designed a flexible pattern system and executed it in a bold and bright colour palette, using shapes inspired by coding language. 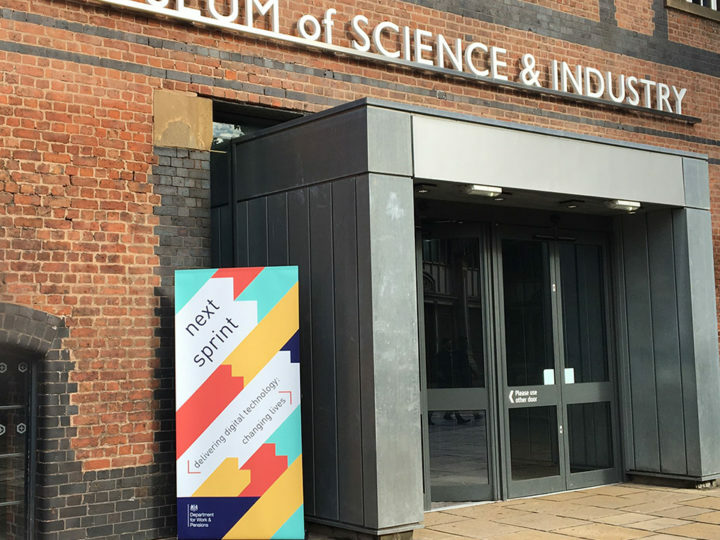 The event went really well and the delegates left feeling really inspired about the work we’re doing at DWP. I hope we’ll work together again in the future.